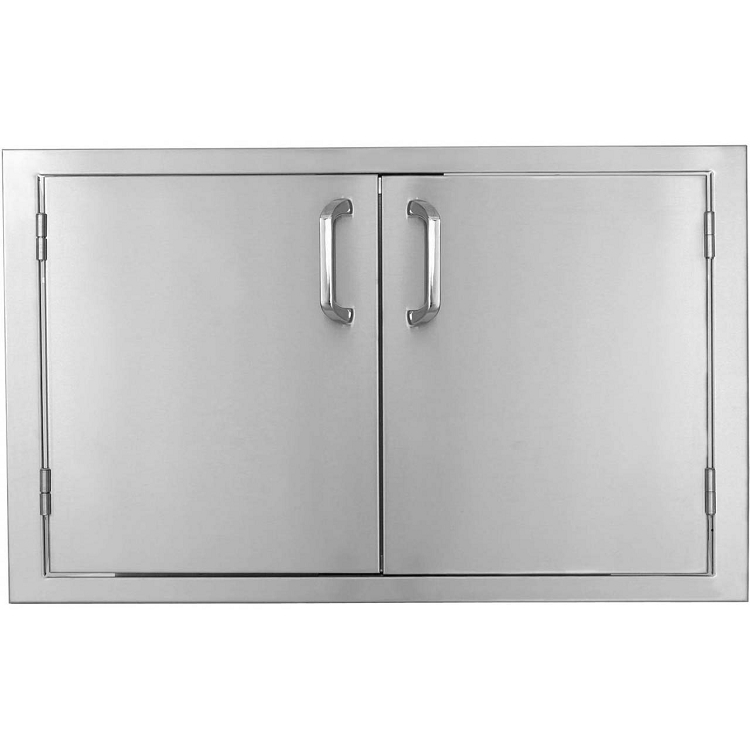 The BBQ Island 260 Series 42 Inch Double Access Doors offers you storage space for your new or existing outdoor kitchen. 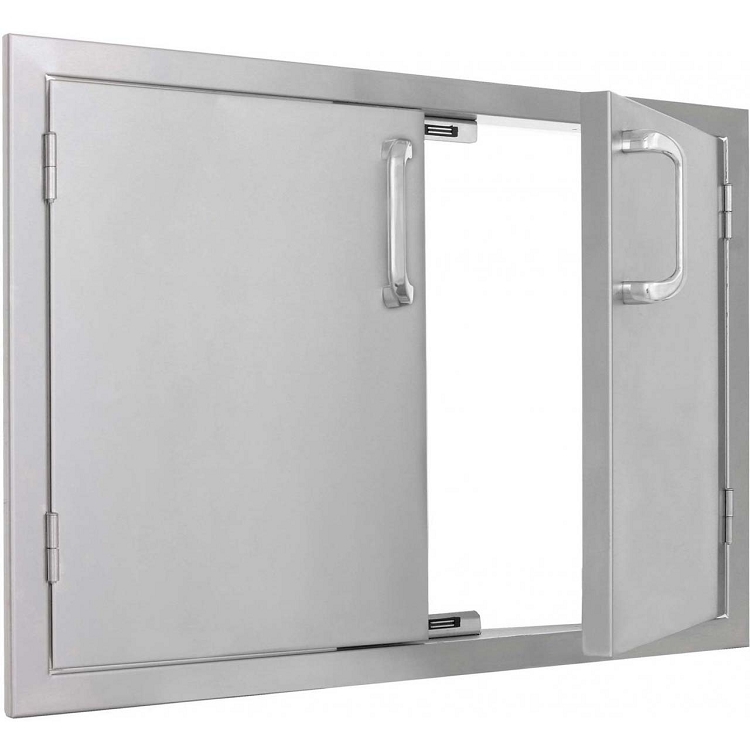 With heavy-duty construction and stylish handles, this double door offers space and an excellent compliment to your outdoor kitchen. 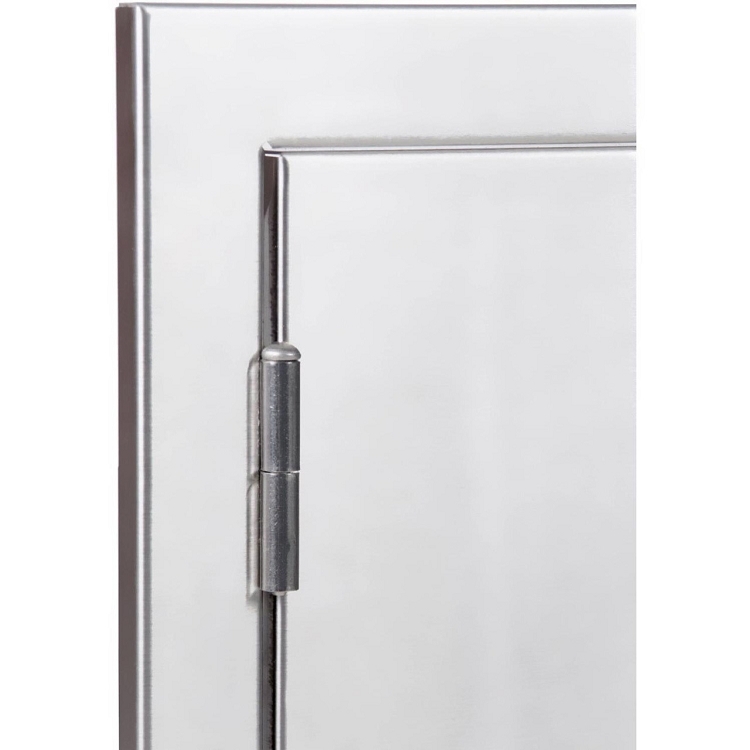 This door is crafted from high quality 304 stainless steel with a solid frame and hinges. 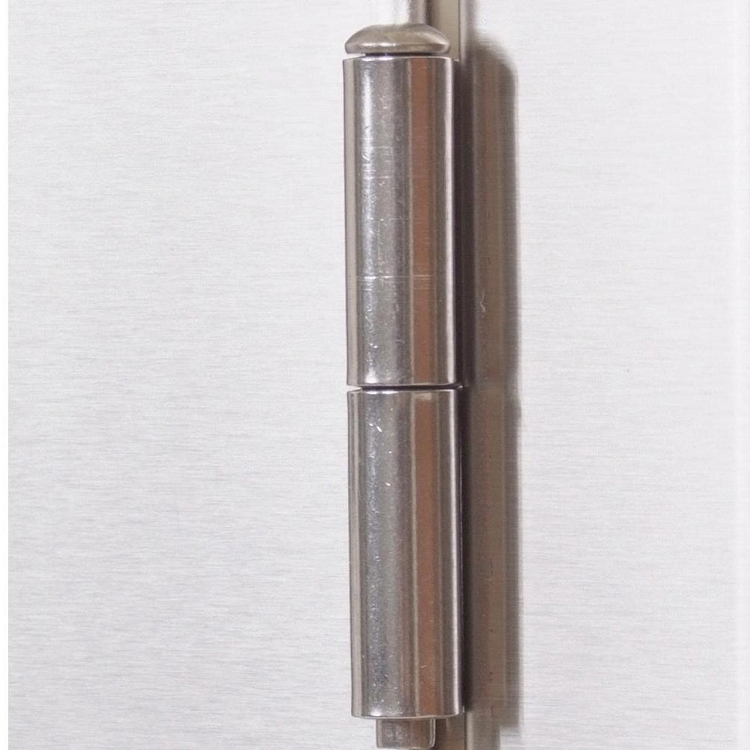 The welds are ground and blended with a brushed finish creating a complete look. 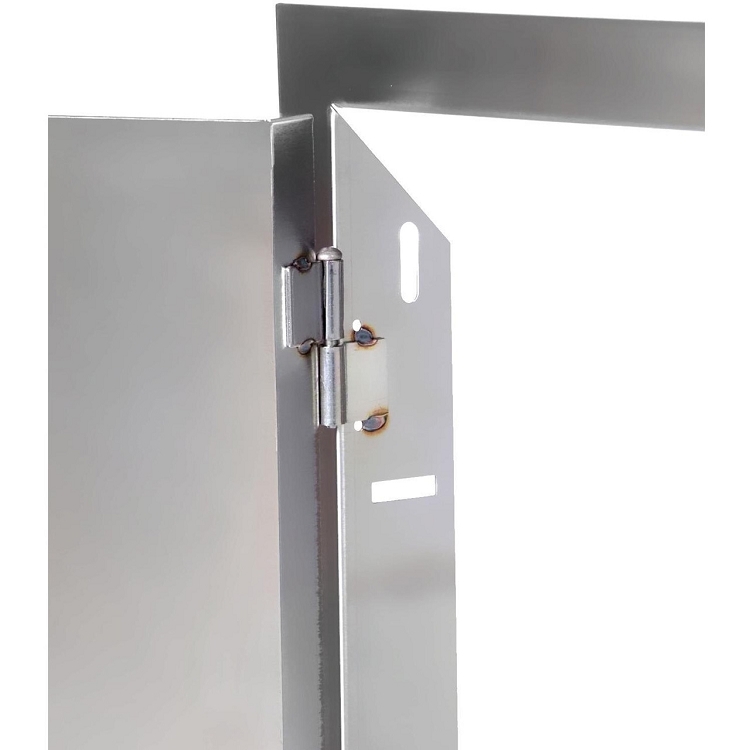 This unit will be shipped with a white vinyl covering to protect surfaces during fabrication, handling and installation. 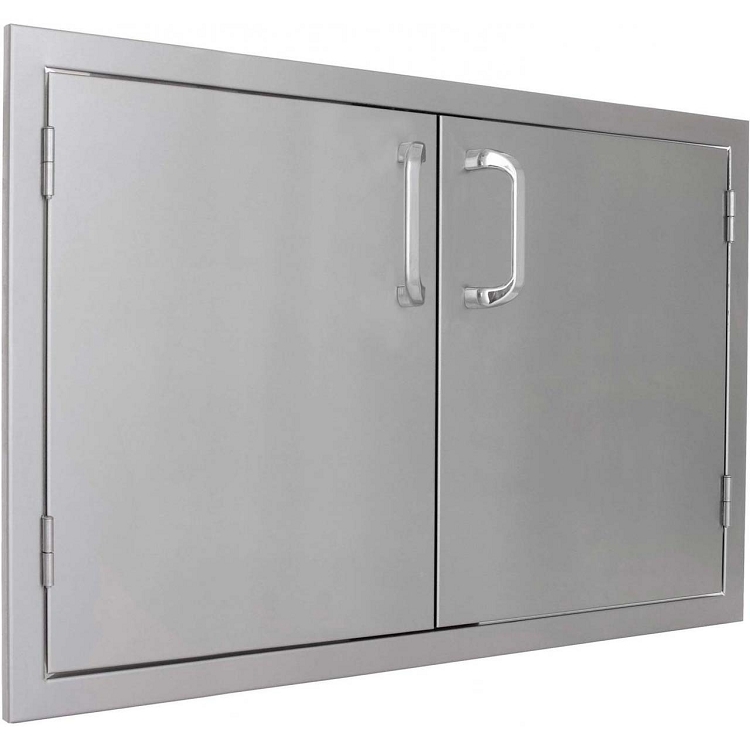 Once it is in place, peel off the protective vinyl to expose the luster and quality of your superior American made outdoor kitchen unit. 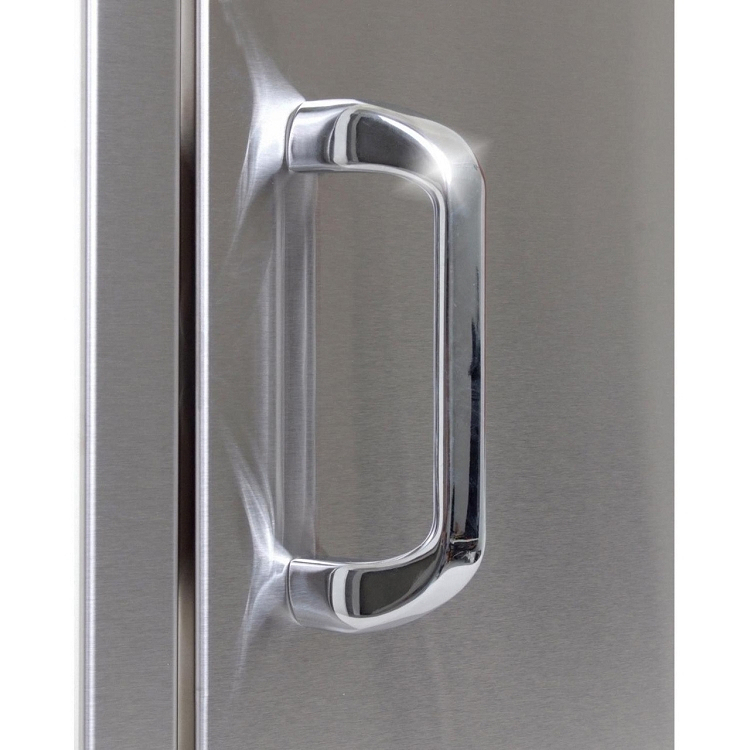 The 260 Series feature chrome plated handles that will give your outdoor kitchen a sleek look, upgrade to the 300 H handles for a more modern look. The doors/drawers come flush on a box frame. 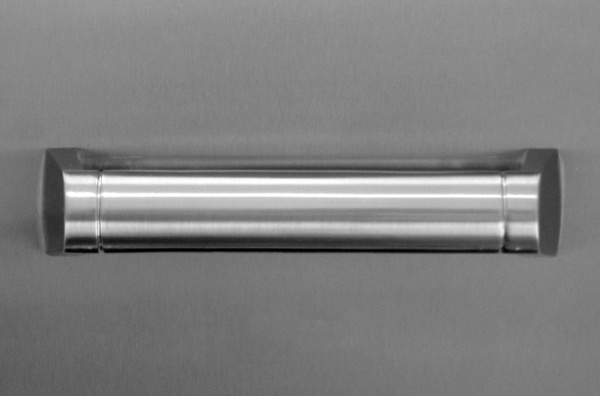 Memphis Four Drawer Stack 15"